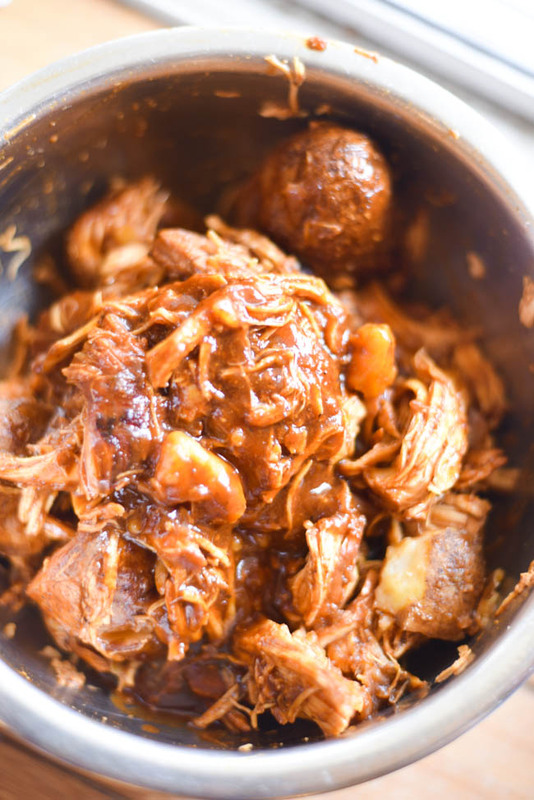 Have a brand new pressure cooker and not sure what to do with it? You’re not alone. I’ve been there, and honestly, that kitchen gadget was intimidating! 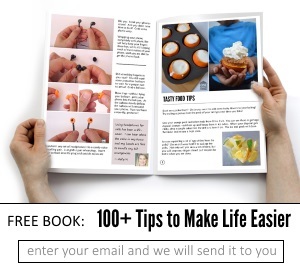 But once I went through a few simple recipes, I became comfortable using it. Now, I love trying new recipes! So recently went on a hunt for new things to try, and since our family LOVES chicken, that seemed like the best place to start. And I found a ton of yummy looking meals to try. 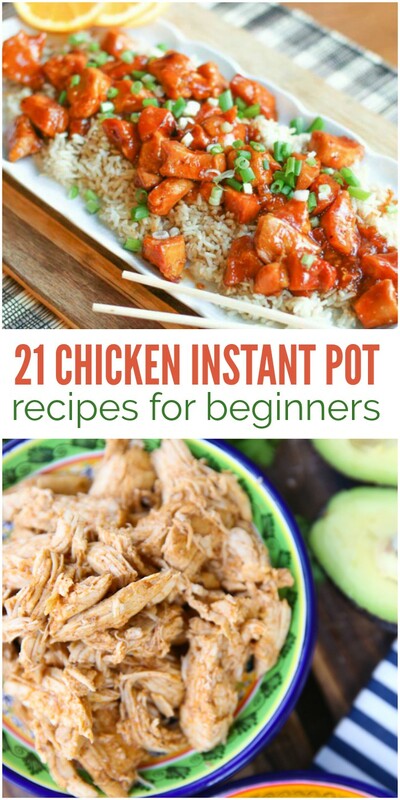 But here are 21 of my favorite chicken Instant Pot recipes that are perfect for you if you’re new to pressure cooking. Make a rotisserie chicken (okay, a faux-tisserie chicken) in the Instant Pot! That’s right, folks, you can cook an entire chicken in about 30 minutes. The chicken is tender, juicy and lick-your-fingers good. 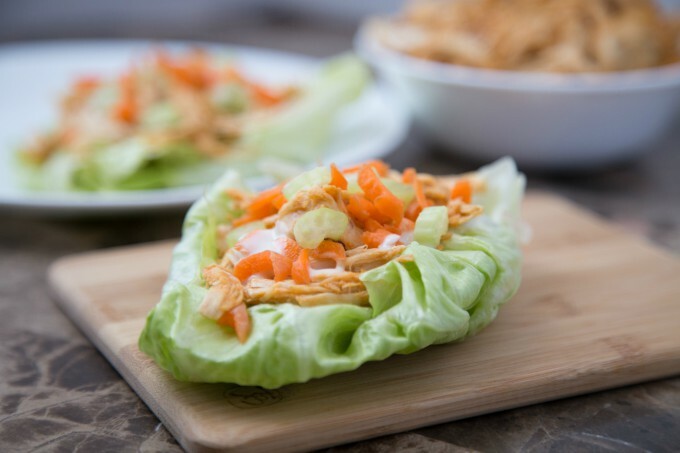 If you’re watching carbs or calories, these Buffalo Chicken Lettuce Wraps make a delicious lunch or light dinner idea. And if carbs are no issue to you, the chicken is perfect on a bun or baked potato. 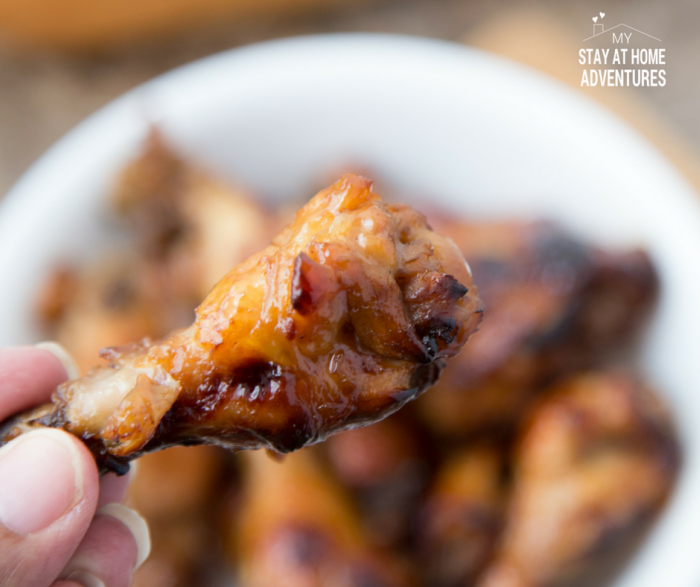 For game night or the weekend, try these Sweet and Sour Instant Pot Chicken Wings. They’re tangy, delicious and the perfect appetizer for any party. Pair them with blue cheese or ranch! 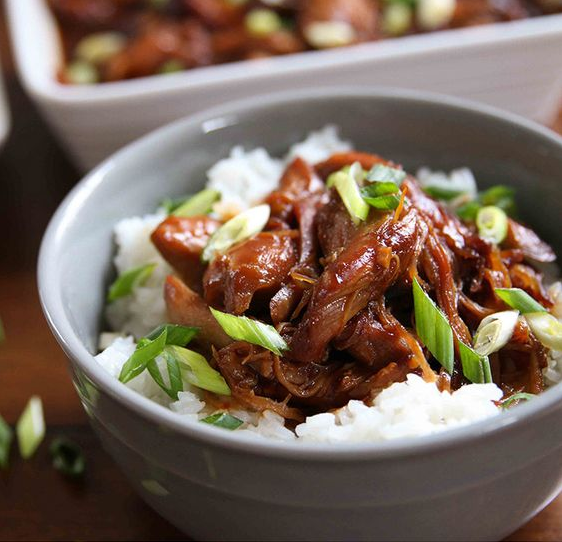 Get the ease of Asian takeout without breaking your food budget. 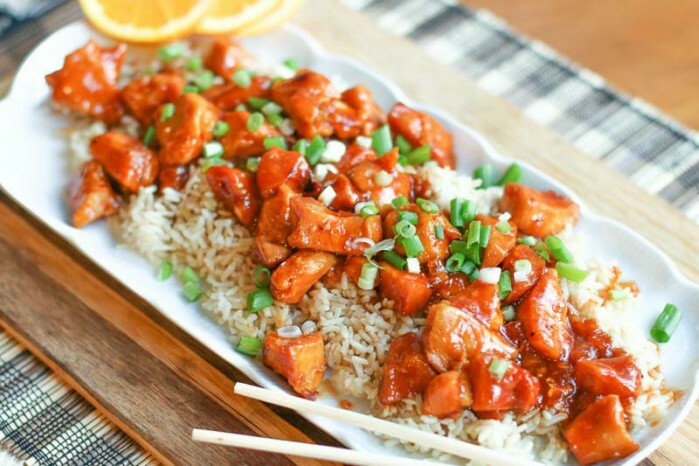 This Instant Pot Orange Chicken is ready in about 15 minutes, and your family will gobble it up even faster than that. 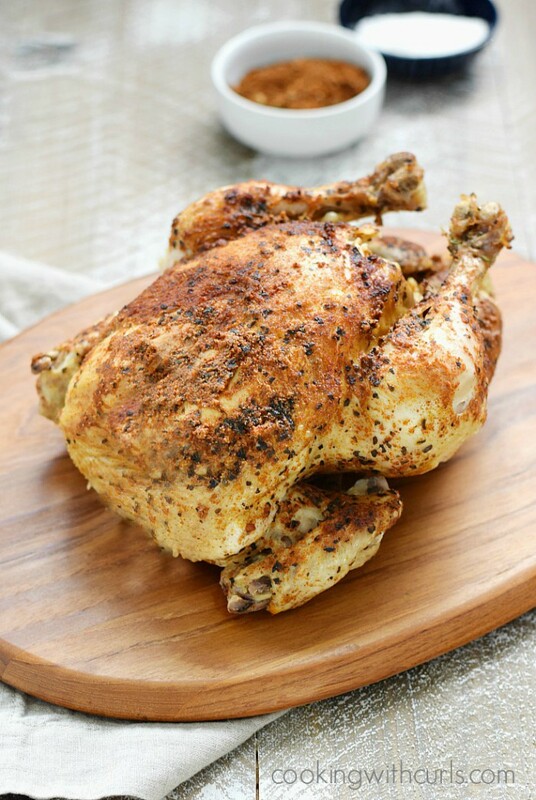 If your pressure cooked chicken isn’t turning out quite the way you’d hoped, you’re probably cooking it too long. 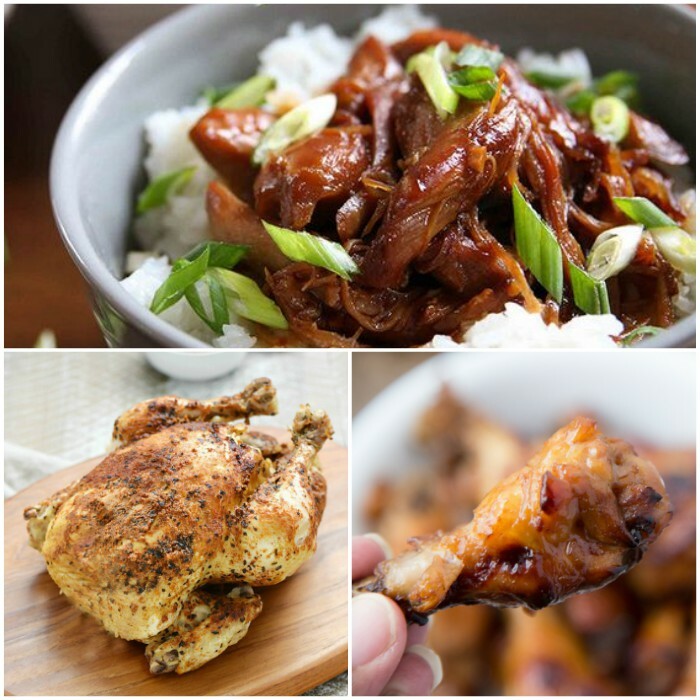 I found that and lots of other helpful tips in this 6-Minute Chili Lime Chicken recipe. I’ve never gone wrong with a recipe from Six Sisters’ Stuff. 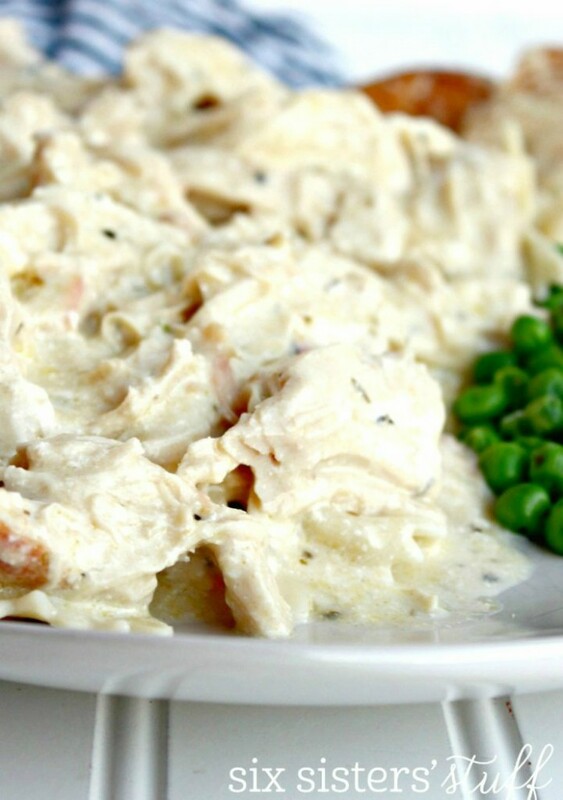 This Instant Pot Cream Cheese Chicken Pasta is on this month’s menu. With lots of cream cheese and zesty Italian seasoning, it’s a can’t miss dish! 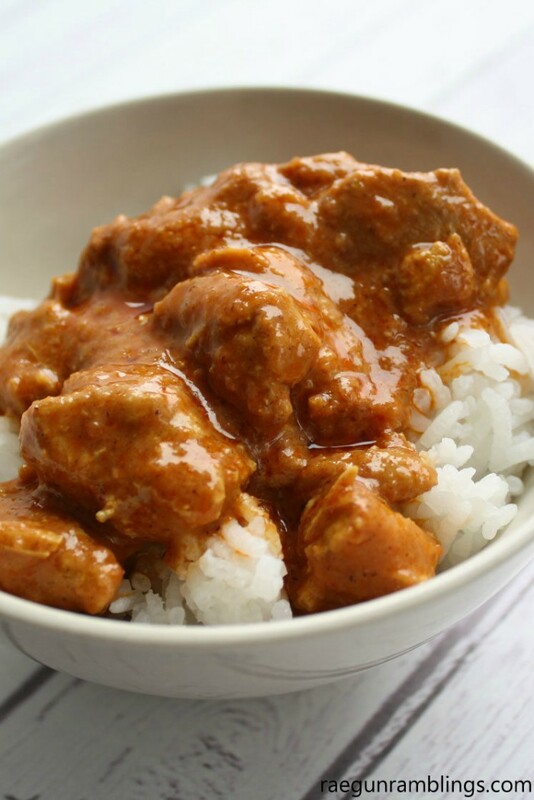 Chicken Tikka Masala with lots of sauce can be done in the pressure cooker. Serve it with a big helping of basmati rice to soak it all up. Dump recipes are my current favorites since I’m new to pressure cooking. 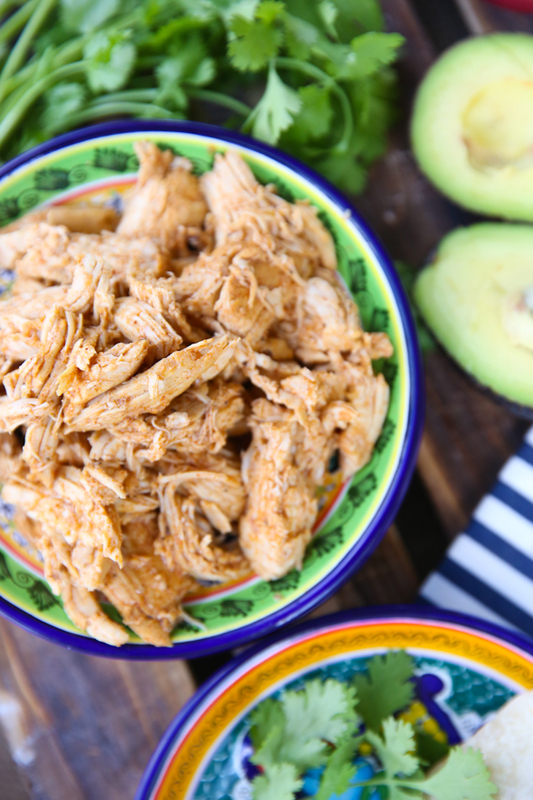 This recipe for Instant Pot Chicken Taco Bowls from my friend Corinne is a super simple, super tasty meal the whole family will love. We are BBQ fanatics in our house. Seriously, slap some barbecue sauce on just about anything, and we’ll eat it! BBQ Chicken and Potatoes in the pressure is a great way to get our fix fast, and it looks positively scrumptious. Call me lazy, but sometimes I don’t want to fuss with cutting up chicken (and I’m not a big fan of drumsticks, wings or thighs). 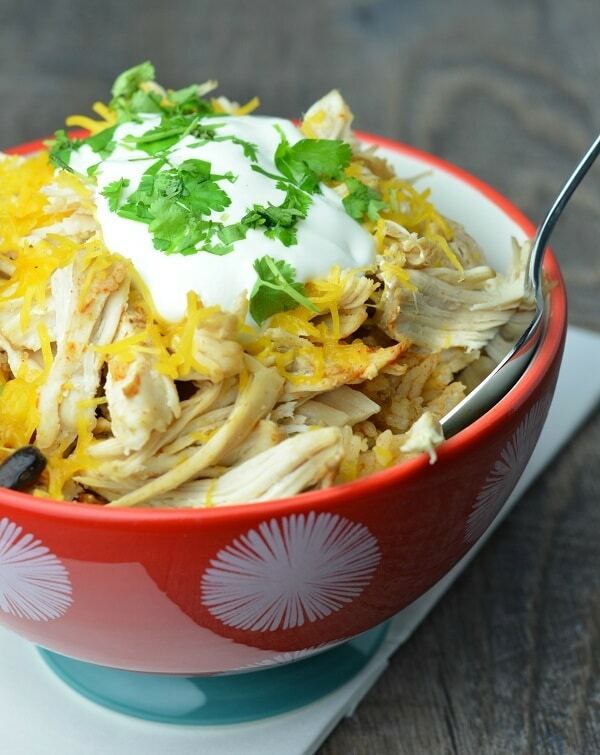 With this Pressure Cooker Chicken and Rice recipe, I don’t have to do any chopping! 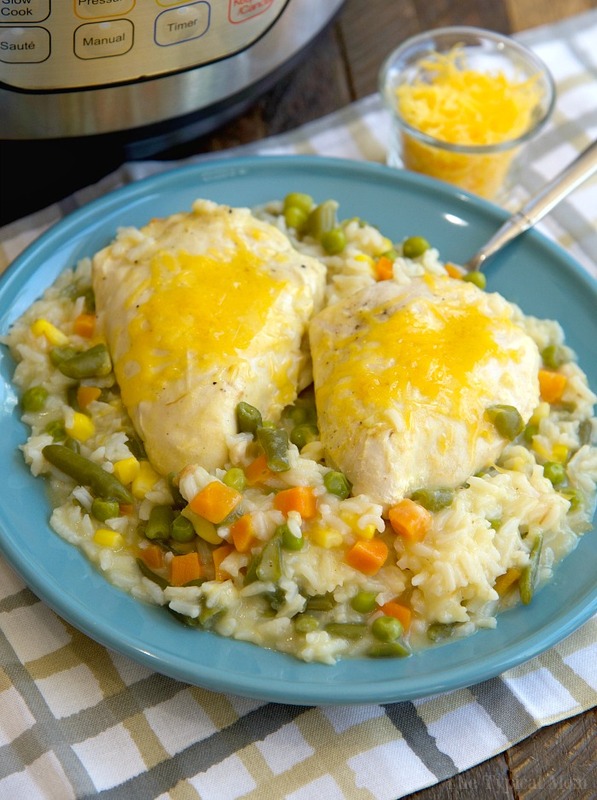 It uses frozen veggies and whole chicken breasts, so it’s easy peasy to prepare. 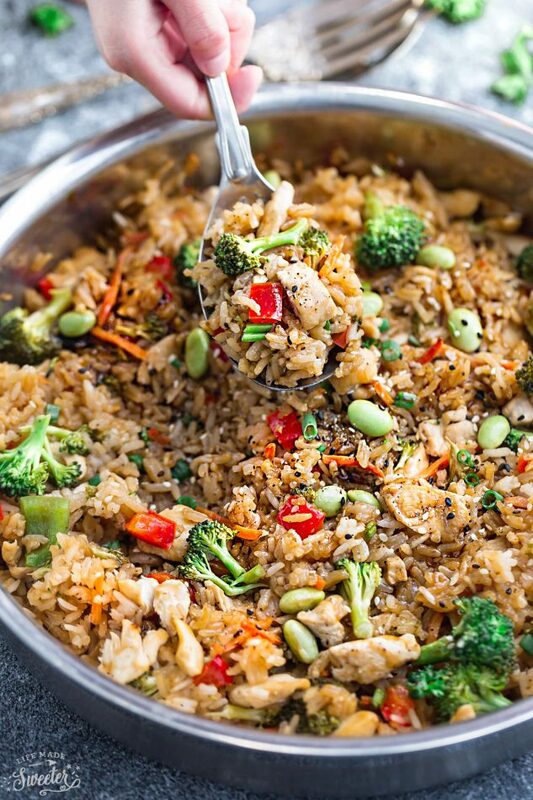 Teriyaki Rice with Chicken and Broccoli is ready in about 30 minutes, making it the perfect weeknight meal for the entire family. 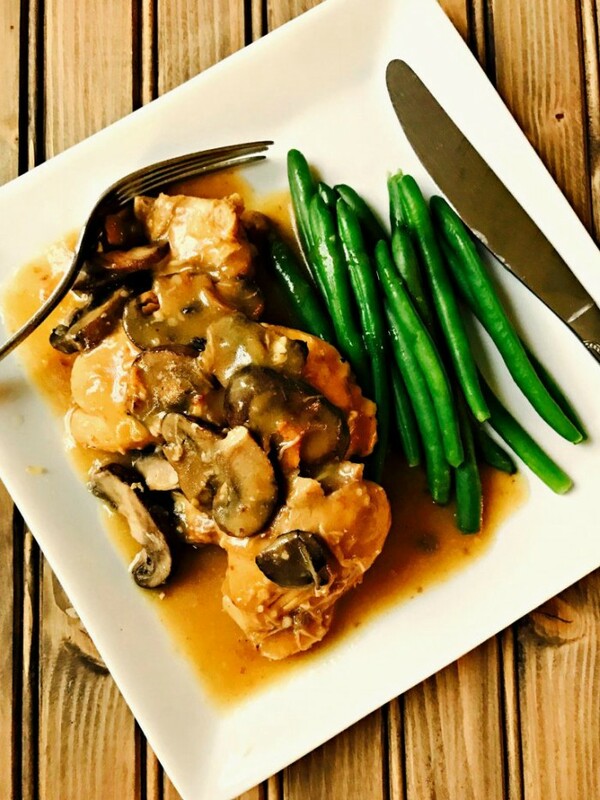 21 Day Fix Chicken Marsala may be a healthy meal that works for your diet, but it’s nice enough to serve to company without them feeling like their missing out. After all, nothing’s worse than being invited for dinner and then the host reveals that he’s on a lettuce-only diet. Okay, I’m exaggerating, but you get what I mean. 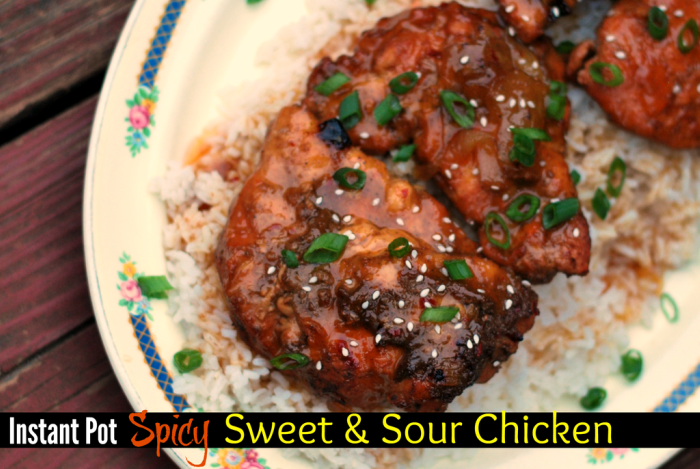 Add a side of rice and veggies to this saucy, juicy Honey Bourbon Chicken and it will become a fast favorite for your family. It reheats beautifully, too. 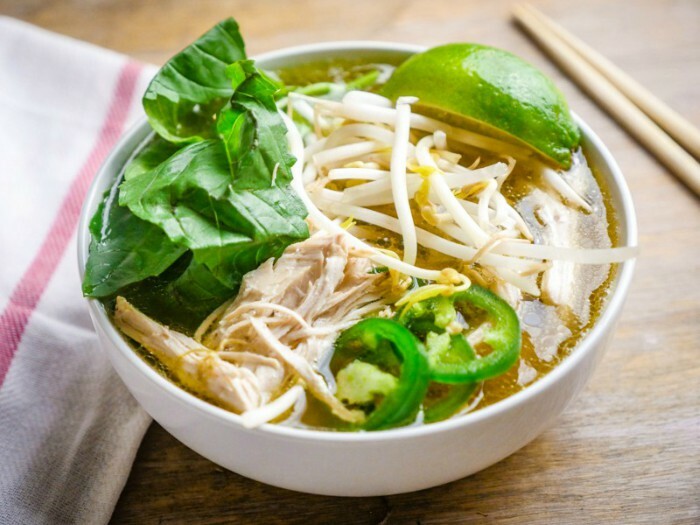 Chicken Faux Pho is best made with a skin-on, bone-in chicken because it makes for a heartier broth, which is definitely necessary for the soup. 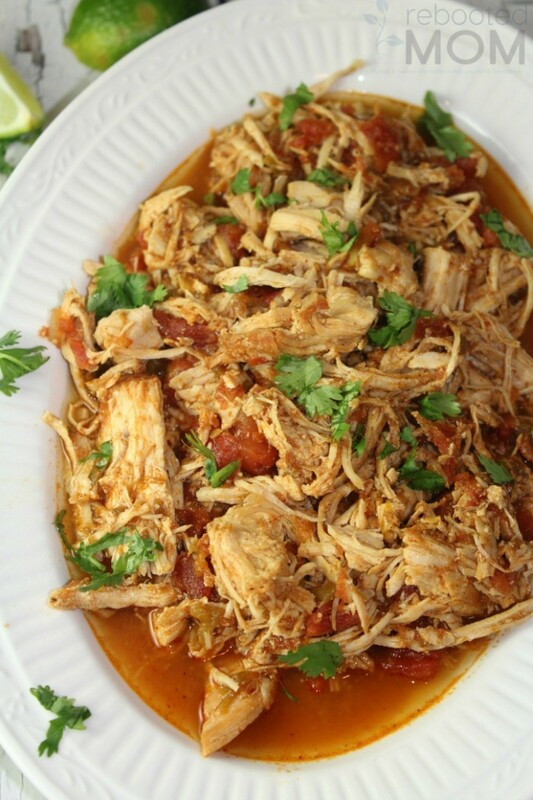 Shredded Mexican Chicken is a must-try for the Instant Pot. Use it for tacos, burritos, enchiladas, or serve it over warm rice. It’s so versatile! 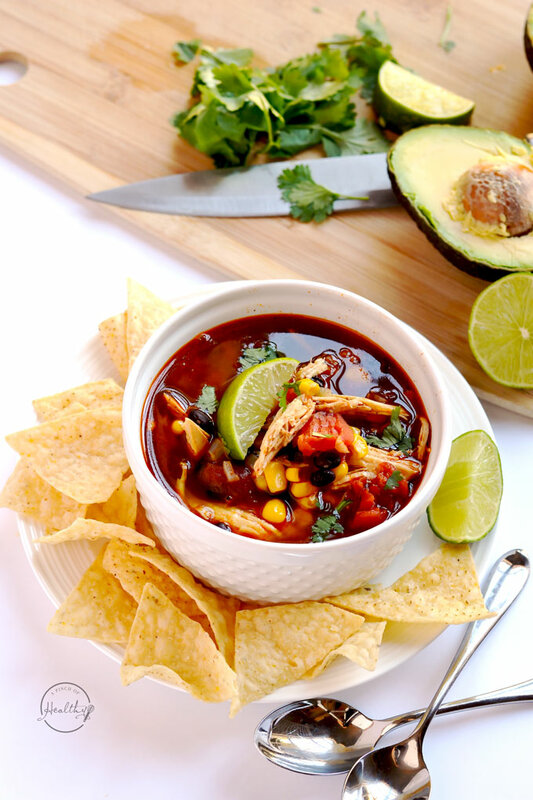 In the fall and winter, nothing will warm you up faster than this Chicken Tortilla Soup in the pressure cooker. Even kids love it, so you can’t miss when you need dinner in about 30 minutes. 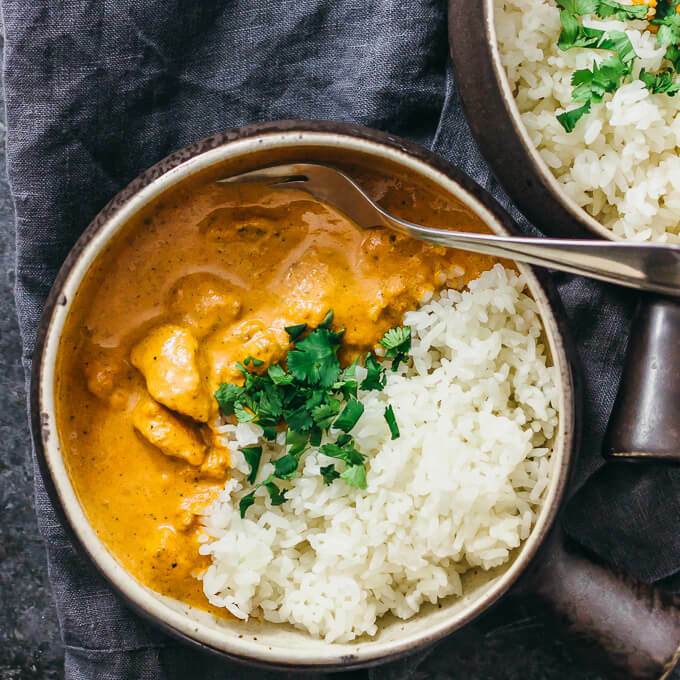 Make Indian Butter Chicken when you’re in the mood for food with a spicy kick. Adjust the spices to your family’s liking, such as adding more jalapeno for a dish with a little more bite to it. 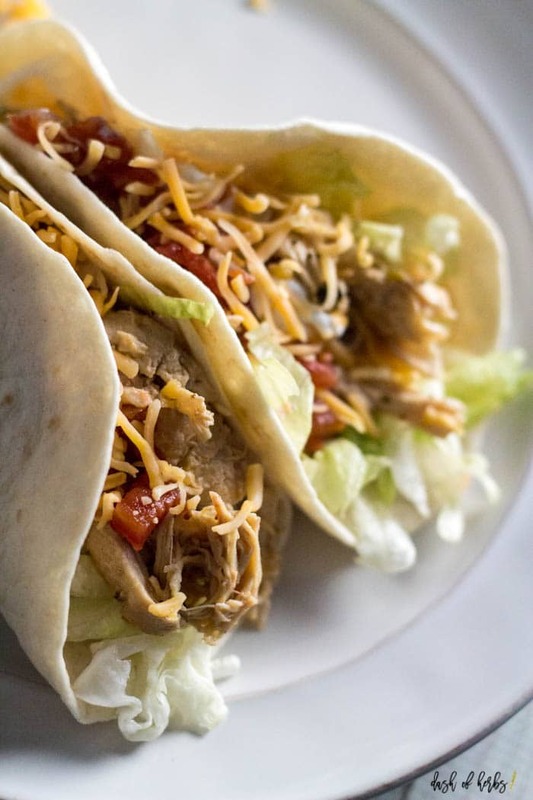 Chipotle Chicken Tacos are great because not only are they kid-friendly, but they’re Weight Watchers friendly, too. Can you believe they’re only 4 SmartPoints? 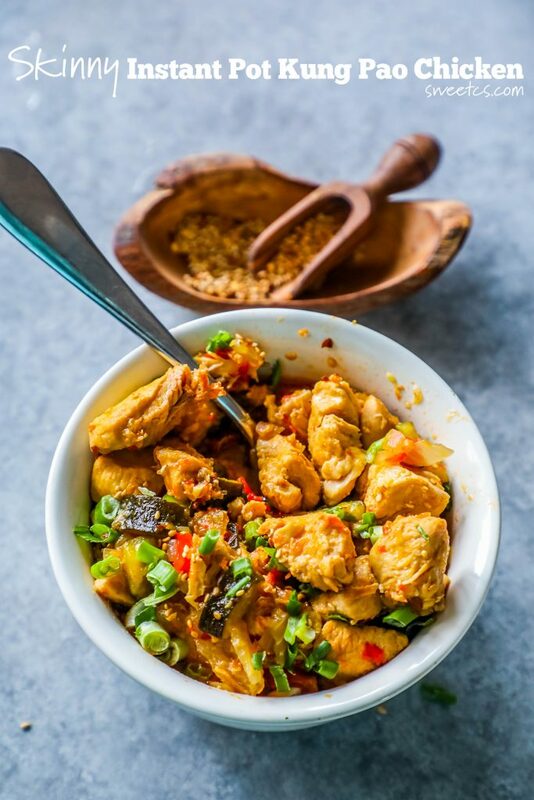 If you’re looking for a way to use frozen chicken breasts in the Instant Pot, try this Spicy Sweet and Sour Chicken. It’s crazy good, and frozen chicken is so convenient! 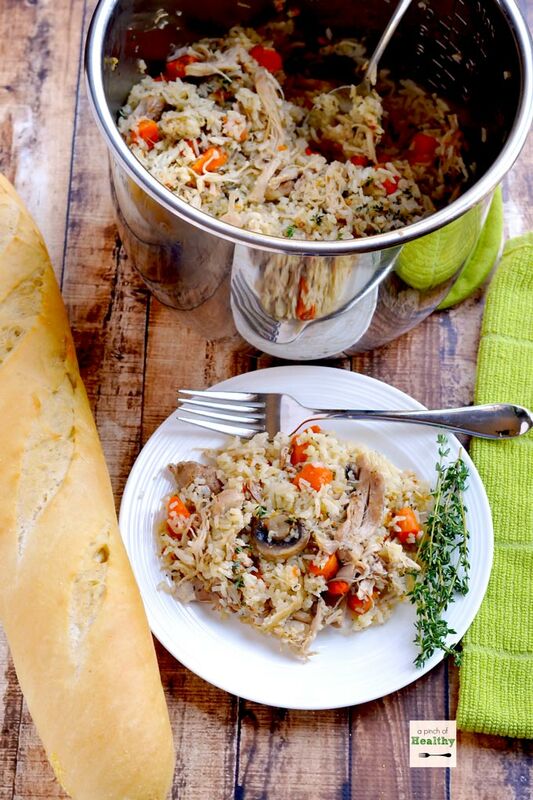 Here’s another version of Instant Pot Chicken and Rice that I’ve tried personally, and it’s very good. We add a little oregano and rosemary to ours, but it’s yummy as is, too. Have Skinny Kung Pao Chicken in less time than it takes to order takeout. It tastes good, and it’s paleo and whole-30 complaint. Win, win, win! Soon, you will be basking in the joy and simplicity of pressure cooking. And you’ll never want to go back! So be bold, try new things and I promise, you won’t regret it.